A willingness to learn new things is the first step to success. 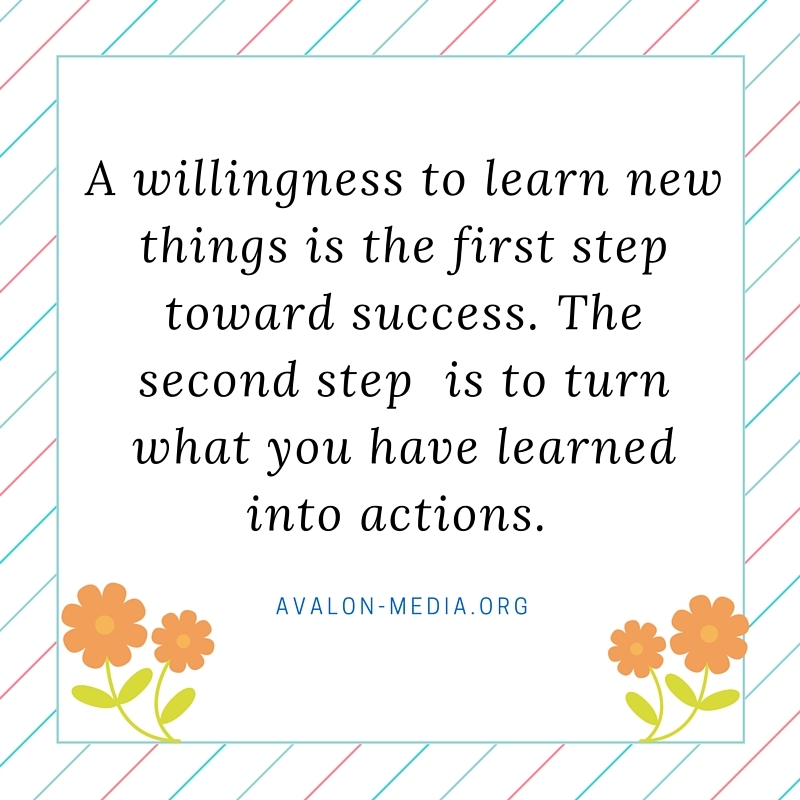 The second step is to turn what you have learned into actions. Finding information and the willingness to learn new information is important, even if it can be overwhelming. Thanks to the internet, and instantly available ebooks, there are not many true excuses anyone can have for not finding the answers to a problem you have. 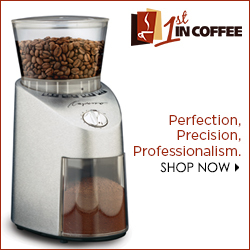 There are facebook groups, forums, and networks on just about every subject. Peer support is a click away, courses on every subject are available, in many instances those are free. Gathering information is time-consuming, yet easy and possible. 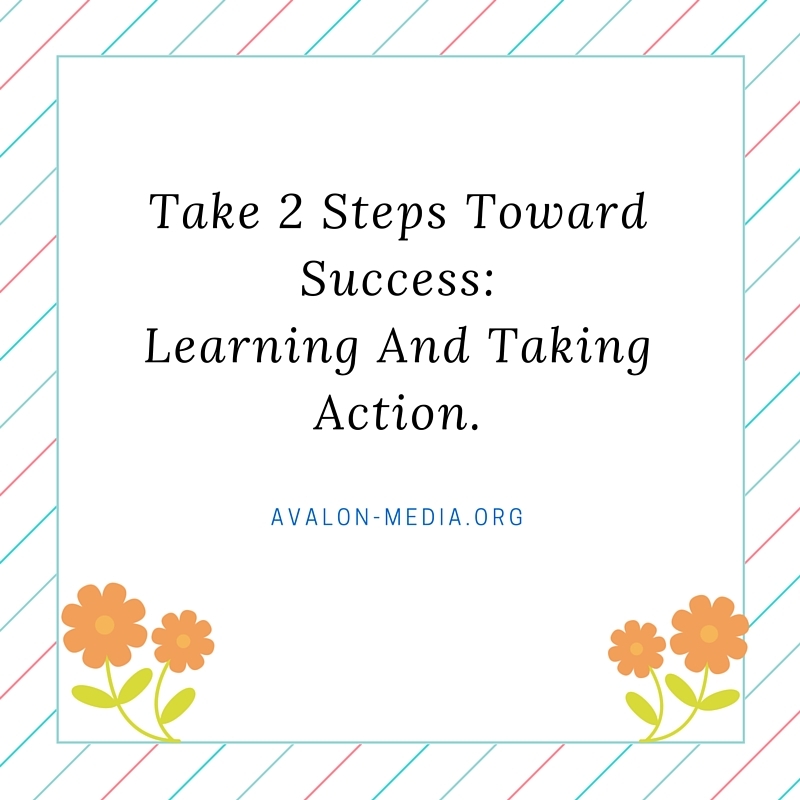 Taking action, however, even if they are laid out in front of you, in workbooks, course assignments, daily assignment threads, or action prompts are often ignored, or “postponed” until a later time. I have heard so many excuses, real or imagined why someone could not follow through upon what they learned – from, lack of time to kids, to other responsibilities. Yet, we find time to talk about our favorite television shows, follow our favorite sports team, or leave comments on funny youtube videos. If you want success you have to take both steps. There are no short-cuts around that fact – no one will learn what you need to learn for you, and no one will turn off that television or gaming console that distracts you from taking action. YOU have to make that commitment, YOU have to make that choice, between continued stagnant existence or success. Those two steps are the prize you have to pay, in order to become the person, I know you want to be. Take those two steps and you will find, that the harder you work for your success, the less competition you will come in contact with. You see, too many choose the couch, the video game, the excuses, leaving a lot of opportunities open for those who are willing to work for it. They choose convenience over success. P.S. 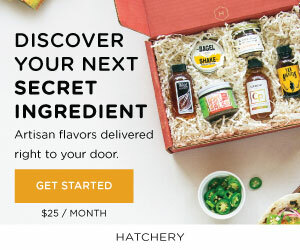 If you are interested in growing now, and taking action now, join me at Wealthy Affiliate Network for free. Taking the first step to creating a first-rate online presence takes knowledge which can be sometimes elusive and confusing. Wealthy Affiliate has created free step-by-step lessons on how to build a website, how to find your niche, how to create great content and more. With incredible peer support, you can ask for as much or as little help as you need. What are you waiting for? Join now! This entry was posted in Monday Motivation, positive living and tagged action steps, direction, dreams, finances, goal setting, goals, learning, lessons, Monday Motivation, money, motivation, positive living, positive thinking, success, taking action. Bookmark the permalink.